Over the last five years MTUK has been reviewing its comprehensive suite of climbing schemes, both personal skills courses and qualifications, and one of the major themes of the review was to avoid acronyms and secret language. During 2018 the Association of Mountaineering Instructors carried out a consultation process amongst its 950 members to find new names for their two qualifications, which they felt would fit alongside the other climbing schemes. Their proposal for the qualifications to be called Mountaineering and Climbing Instructor, and Winter Mountaineering and Climbing Instructor, was accepted by the members of Mountain Training UK on 30th March 2019. These new names fit well with the other climbing qualifications which were revised and renamed in April 2018. 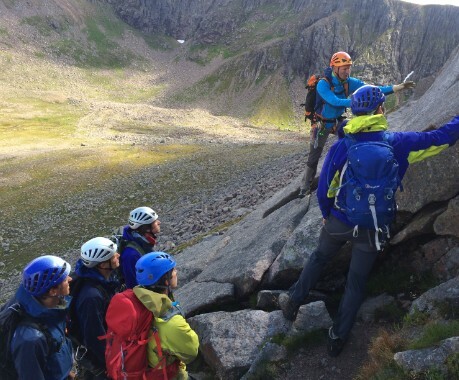 MTUK Chief Executive, John Cousins, said �Mountaineering and Climbing Instructors are the central pillar of our overall delivery system and we are delighted to have worked with them to find what we all hope is a more descriptive title for the varied, high quality work that these people do�.